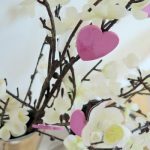 What to do with your Easter decorations for the rest of the year? This post is sponsored by World Market. All opinions are always my own! I LOVE decorating our house for Christmas. I’m one of those people who gets out the decorations well before Thanksgiving (I won’t reveal HOW early). So most would assume that I continue my holiday excitement for ALL the holidays. I wish I did, but sadly as the New Year starts, resolutions of removing clutter & organizing closets kick in. I then remember how much space all those holiday decorations take up. Valentine’s day passes without even a thought of a decorations (I’m lucky if I remember to get Joe a card. Ops!). 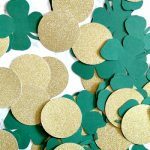 An occasion Saint Patrick’s Day decoration may make its way to our home, which realistically came from a bar. 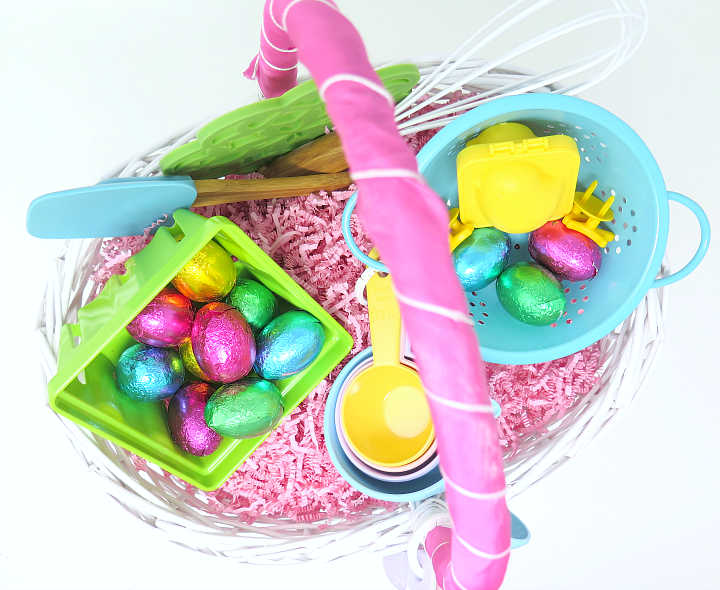 By the time, Easter rolls around, I’ve given up on holiday decorations all together …. until now. 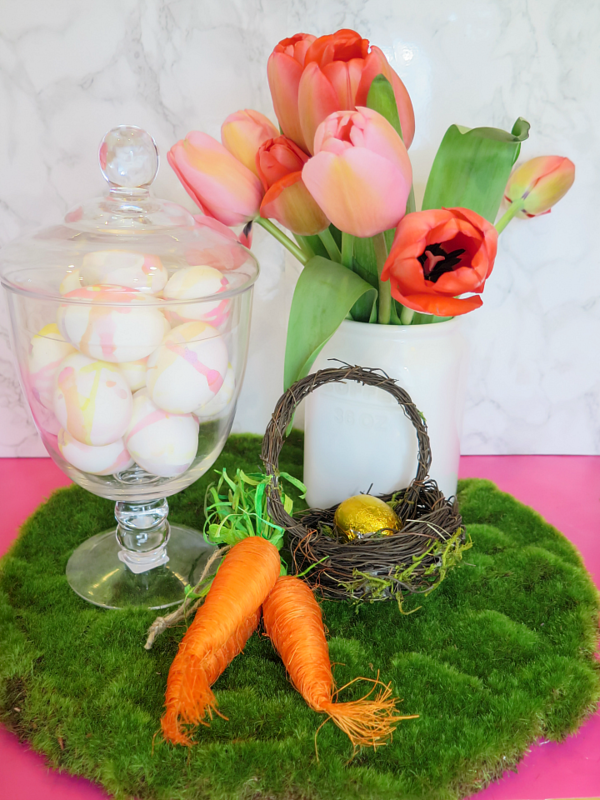 I received a really fun challenge by World Market to find ways to utilize Easter decor all year round, meaning nothing went back in to store. Ultimately removing any excuses I could come up with to decorate for Easter. I was SOLD! 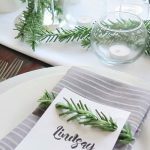 This was music to my ears, as I have NO room to store any additional off season holiday decorations, but desperately want decorate the house for Easter! 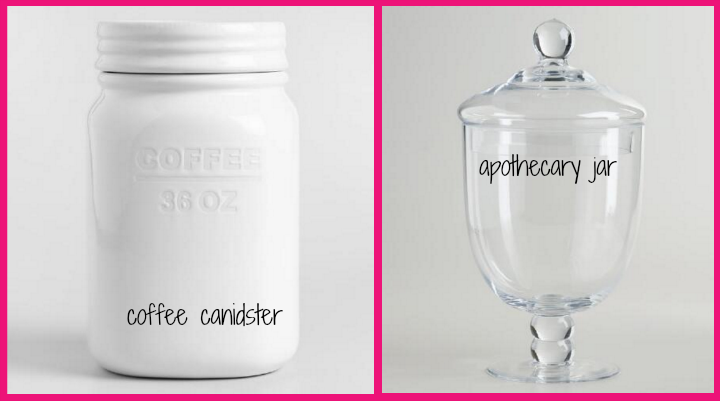 Apothecary jars seem to be all over the place lately. I can see why they’re so popular …. the decorating options are endless. I mean, simply fill the jar with whatever season it is and tada! Holiday decorations. There was no way I was going to pass up coffee canisters. Hello, anything with coffee on it has my heart. 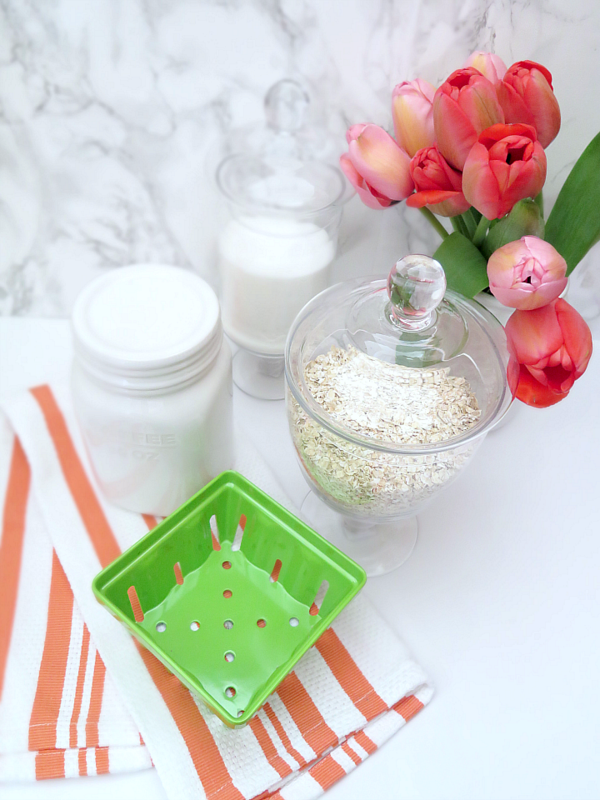 Instead of getting my caffeine rush for the day, I used these as vases the brightly colored tulips that are in season. 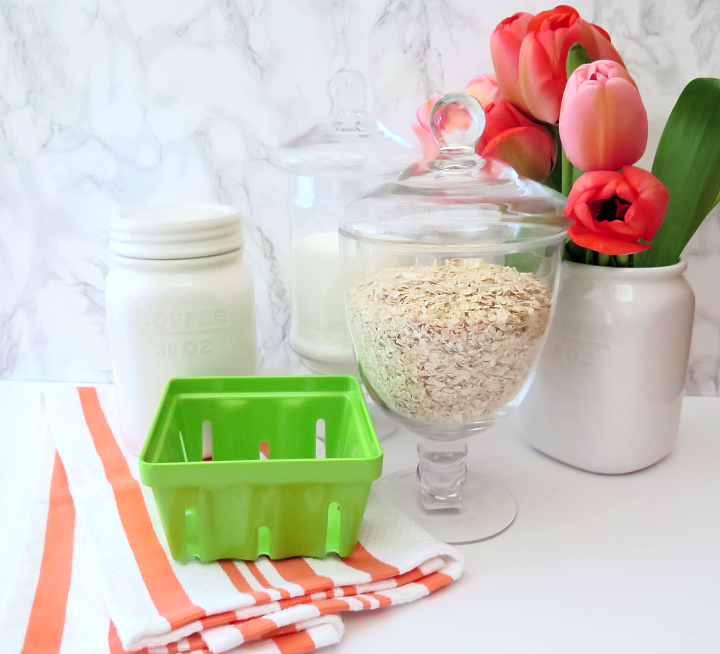 Instead of just using the Apothecary jars to decorate for the next holiday (yep, I decided that was cheating), these became a pretty way to store some of our baking essentials on the counter. Clear containers are great for storing heavily used products because it’s easy to see when refills are needed. 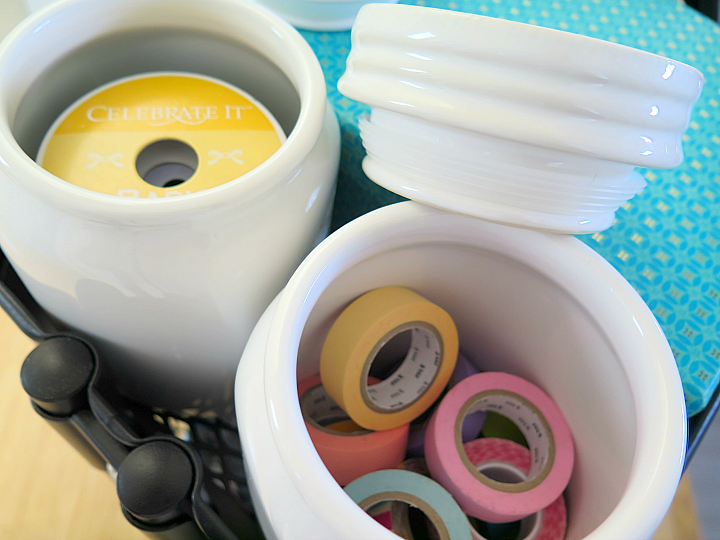 The coffee canisters got put to use in my craft closet storing washi tape and ribbons for easy access. 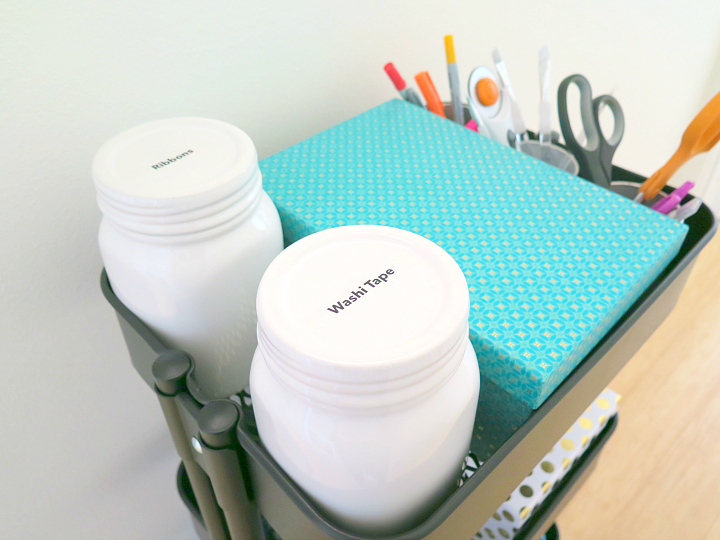 A small label on the lids made these the perfect addition to my crafting cart. The second I spotted this egg crate, I knew it was coming home with me. 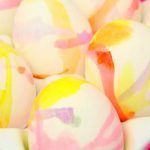 The clean white color looks great against colorful Easter eggs. I just love that this is a ceramic crate as opposed to the plastic ones I see so often. One word: APPETIZERS. Since my cooking doesn’t necessarily win everyone over, my dishware will 🙂 . 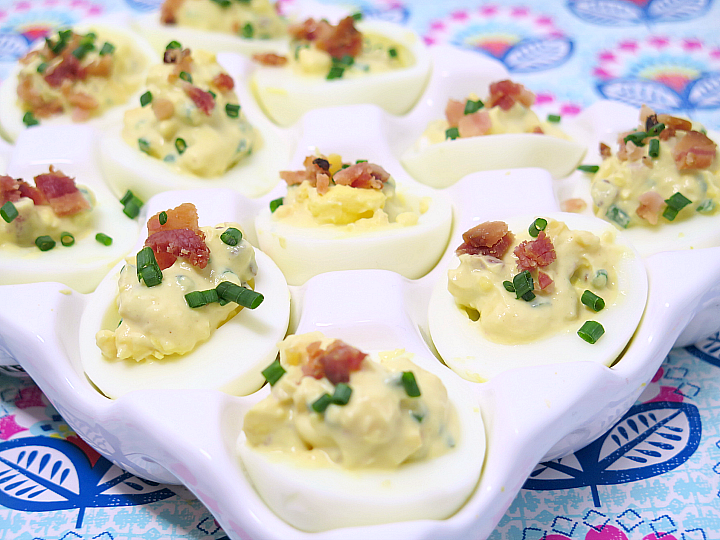 Deviled eggs are such an easy dish that even this rookie can master. 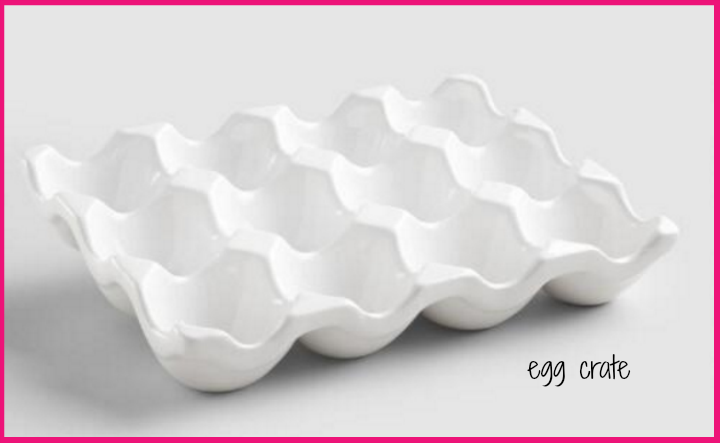 Don’t just save this ceramic dish for eggs though. Possibilities are endless for all you fancy cooks out there! 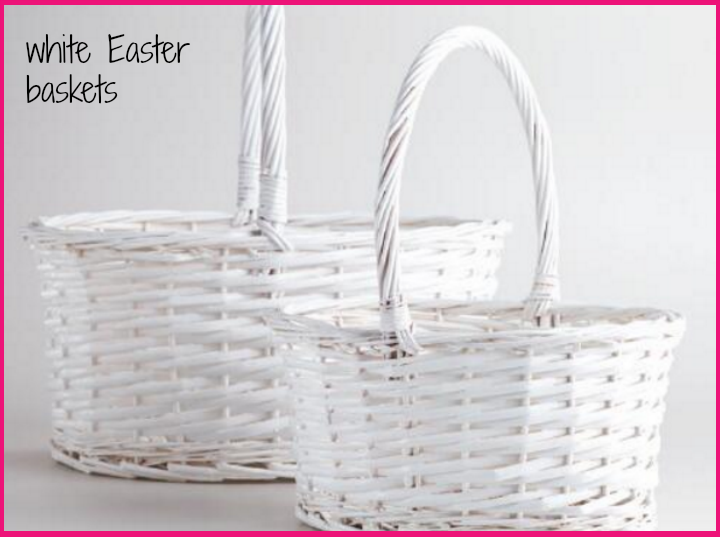 In my house, baskets are the queen of storage (Easter baskets or otherwise). There’s ALWAYS some clutter that needs to be hidden. In. Every. Single. Room. 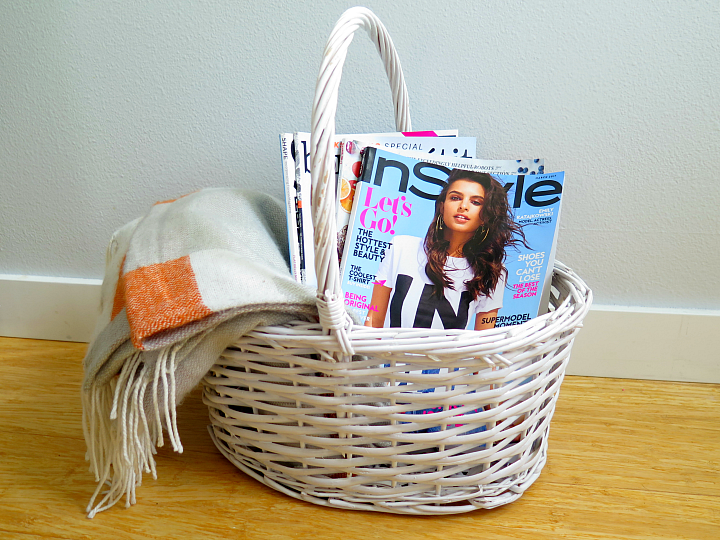 From magazines to puppy toys, we keep our baskets full! 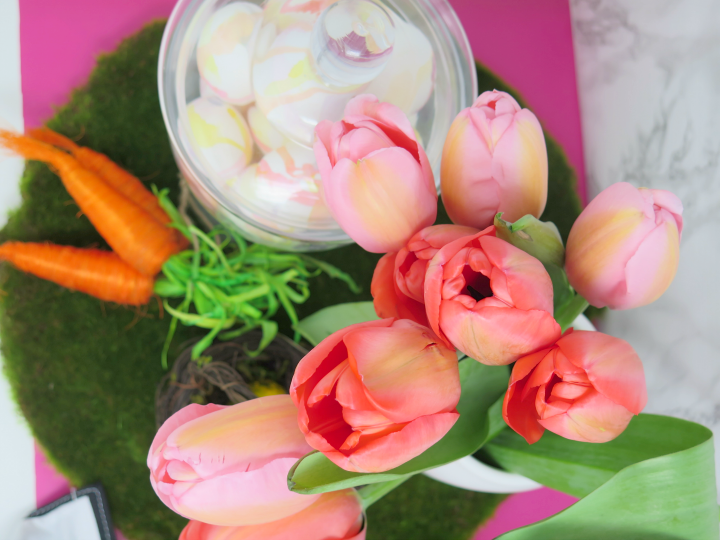 Now you’ll have no excuse to skip the Easter decorations this year …. and all year round! Previous Post: « Basketball Bingo Template, My Favorite Wine Cocktail + GIVEAWAY! 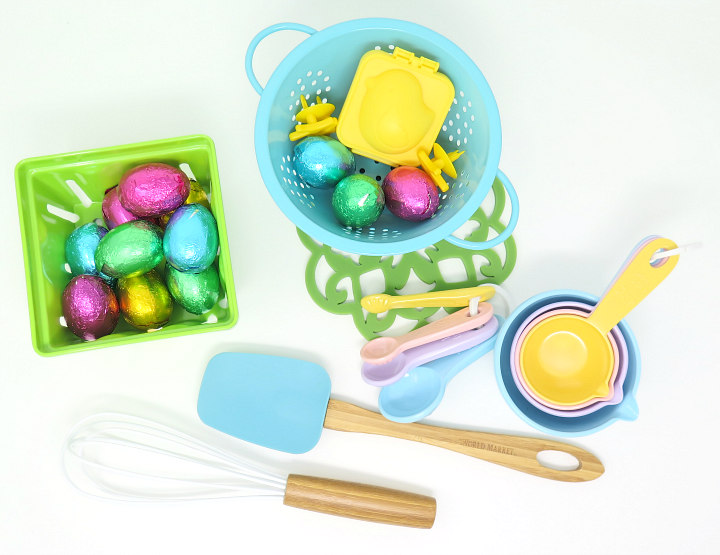 My one weakness at Easter is plastic eggs. They are so fun and cheerful. So I LOVE that ceramic egg plate! 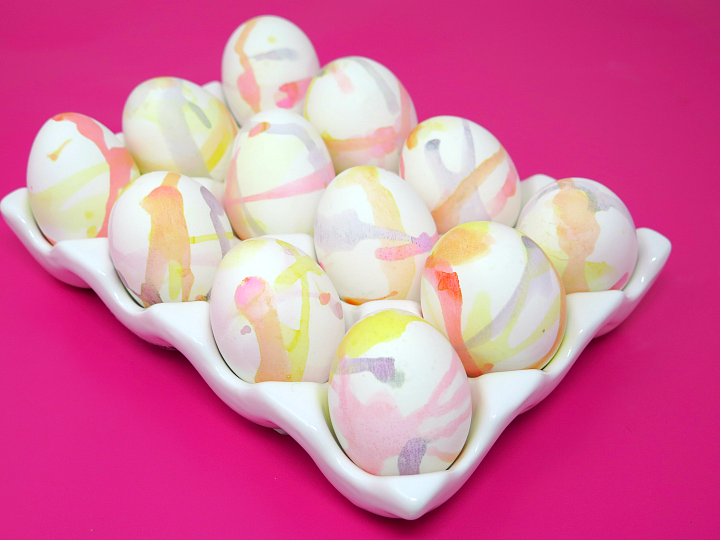 I use the plastic eggs as canvases for my artwork, and that tray would be a fabulous way to display them. 🙂 And of course, anything that holds deviled eggs the rest of the year is a winner!